Baptism initiates each of us as beloved sons and daughters into the family of God. It is usually celebrated shortly after a baby is born. This sacrament indicates that we have been born to a new life in Christ, made possible by Christ’s life, death, and Resurrection. These are the words of the priest at the beginning of Baptism, so it is fitting for the community to be gathered to welcome these new Christians. As such, baptisms are celebrated communally at St. John, either with other families or with the parish community. Baptisms are celebrated on the 2nd Sunday of the month at 1:30pm (with up to 4 babies) or with the parish community at a Sunday 9:00am Family Mass. To request baptism for your child, please complete a Baptismal Request Form by clicking the link below and return it as soon as possible but ordinarily no later than one month prior to Baptism. Please Note: The Baptismal Request Form is an editable PDF form. It can be filled in online and saved, then emailed or printed. Alternatively, the blank form can be printed out and filled in by hand. 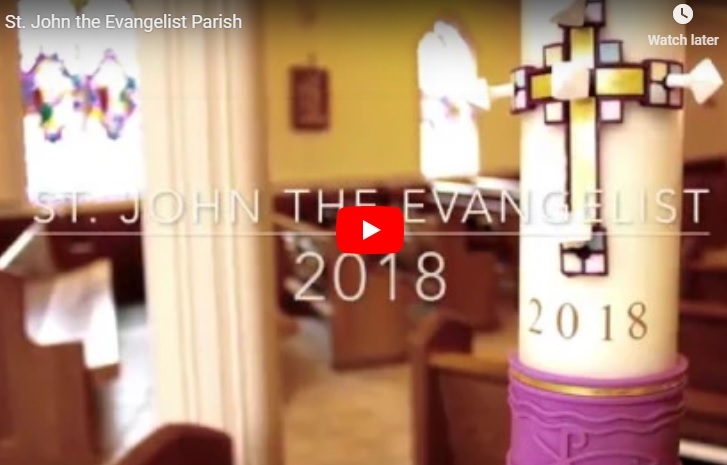 Completed forms may be emailed to Anne Mears, Collaborative Pastoral Care Coordinator, at anne.mears@sjspwellesley.org, or brought/mailed to the parish office. A baptismal preparation meeting is required for all parents who have not had a child baptized previously. Once we receive your request form we will contact you to discuss baptismal preparation and confirm the requested date. Adults who have never been baptized take part in the Rite of Christian Initiation of Adults (R.C.I.A.) and will typically be baptized at the Easter Vigil. Confirmation is the sacrament of initiation by which we receive the gifts of the Holy Spirit to strengthen us for carrying out Christ’s mission. Confirmation for young adults is celebrated through our Religious Education Program at a date and time designated by the Archbishop. Adult Confirmation is celebrated through the R.C.I.A. Program. Matrimony blesses couples who desire to witness their love for one another and reflect the love of Christ for the Church. To ensure the preparation needed for such a joyous celebration, the Parish should be contacted at least six months prior to the anticipated wedding date. Please visit our Wedding Guidelines page for more detailed information. Anointing of the Sick is a sacrament of healing which brings Christ’s strength, comfort, and healing to those who are suffering in spirit, mind or body. It is for people who are getting ready for surgery, the very sick, those suffering infirmities of age and for anyone near death. It can be celebrated anywhere, and it can be received more than once. For those parishioners seriously ill or preparing for an operation or hospital stay, this sacrament is celebrated on the first Saturday of the month following 5:00pm Mass, or by arrangement with the pastor. Please call the Parish Office at 781-235-0045. Holy Orders is the Sacrament of Apostolic Ministry by which the mission entrusted by Christ to his Apostles continues to be exercised in the Church through the laying on of hands. This sacrament has three distinct degrees or “orders”: deacon, priest, and bishop. All three confer a permanent, sacramental character. Discernment of a call to an ordained ministry is an important part of parish life. Please call the Parish Office at 781-235-0045 for more information.